Smart Sandwiches At Subway Offer You Healthy Options! 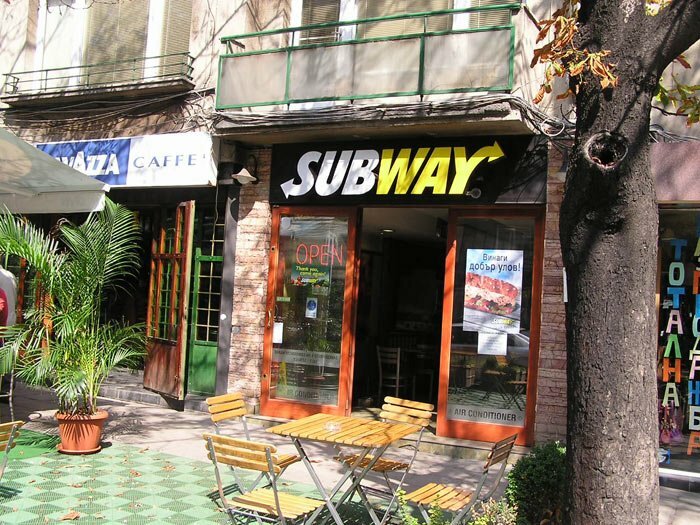 Subway is one of the fast food franchises that is known for being a healthier option for those looking to maintain a lower fat diet. Here's a look at the menu to determine which will help you... or hurt you. The Mini Subs are good choices excluding the high fat tuna option. For a full sized sandwich, a six inch will keep you low on carbs. The chili at Subway makes a well balanced all-around meal. Subway is one of the fast food franchises that is known for being a healthier option for those looking to maintain a lower fat diet. But, just because a meal is low in fat does not necessarily mean it will be the best choice for you as far as fat loss is concerned. That Is Known For Being A Healthier Option. You must remember that total calories are going to play a very vital role in how fast you lose weight, so don&apos;t get too crazy with low fat foods. Unless you&apos;re making smart selections they too can cause big problems as far as your diet is concerned. Let&apos;s have a closer look at the menu at Subway&apos;s and determine which will help your diet and which will hurt. For those who are really watching their calorie intake on their diet, the mini subs will be a good bet. These are going to contain less fat and fewer total calories than their 6 inch counterparts, so are good for a snack or a very light meal for those with lower calorie needs. The Ham, Roast Beef, and Turkey best are the best three choices with fewer than 150 calories and 4 grams of fat. Just beware of the Tuna mini sub as it contains far too much fat due to the mayonnaise it&apos;s prepared with. If you&apos;ve got a little bigger of an appetite, chances are you&apos;re going to want to go for the 6 inch sub instead. This is also a good selection as all of them are under 300 calories apart from the Sweet Onion Teriyaki which contains 370 calories. They all will also have between 17-22 grams of protein, which is a good amount for a meal of this size. Thursday, Week 5: Eating Out. Avoid the sub selections that are not on their &apos;6 grams of Fat or Less&apos; menu however as they do contain more fat and calories. Also watch the condiments you&apos;re choosing to add to your sub as that as well can significantly increase their total calorie count. The twelve inch subs will essentially be double the calorie intake of the 6 inch varieties, so with this portion control is your biggest concern. For those who are on a reduced calorie intake, 600 calories for that meal, not to mention the higher volume of carbs may be pushing you over your daily budget, so choosing the 6 inch sub instead is a smarter option. [ Click To Join The Thread. ] Best Subway Meal? I&apos;m trying to eat clean and am going to get it for lunch tomorrow. I normally get a 6" wheat bread, chicken breast, lettuce, tomato, and buffalo/hot sauce. Anything nutritionally better than this? Breakfast at Subway is a slightly scary situation as their breakfast meals do contain considerably more fat than their lunch and dinner selections do. The lowest fat item you can get is the Cheese Breakfast Sandwich on a Deli Round which will pack in 15 grams of fat and 330 calories. The Ham and Cheese Deli Round will be a better option even though it contains more calories (370) for the fact that it also has the most protein at 23 grams. Whatever you do avoid the Breakfast Wraps as these contain up to 46 grams of fat for the Mega and 760 calories. It&apos;s just not a good way to start your day off with regards to nutrition. The soup and chili menu at Subway is quite good with lots of options you can choose from. The Chili itself makes for a good well balanced meal at 270 calories, only 4 grams of fat, and 21 grams of protein. Lots Of Options You Can Choose From. If you&apos;d prefer soups, mostly all on the menu contain fewer than 120 calories and 3 grams of fat provided you stay away from the cream based varieties. 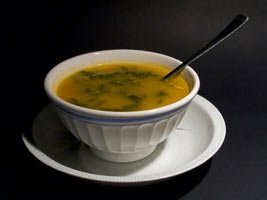 One soup that&apos;s great in particular is the Chicken w/ White and Wild Rice that contains 6 grams of protein and only 90 calories per serving. Finally, if you&apos;re looking for a dessert to finish off the meal, most of cookies contain around 200 calories and don&apos;t offer much in the way of good nutrition, but if you opt for the Oatmeal Raisin variety you&apos;ll get the fewest calories and fat. So keep these points in mind as you go about ordering at Subway. All in all this menu is definitely a great deal healthier than their Fast Food Hamburger counterparts, but there are a few subs that you should be careful of and still practice portion control so total calories are in line. Check Out Subway&apos;s Complete Nutritional Details Here.